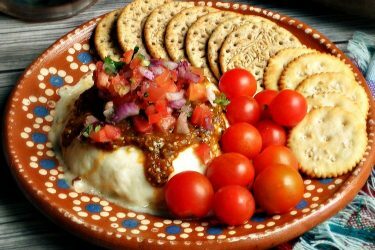 When I find myself busy cooking and my stove top filled with pots and pans of simmering foods, I like to prepare this fairly quick version of roasted tomato salsa under the broiler. 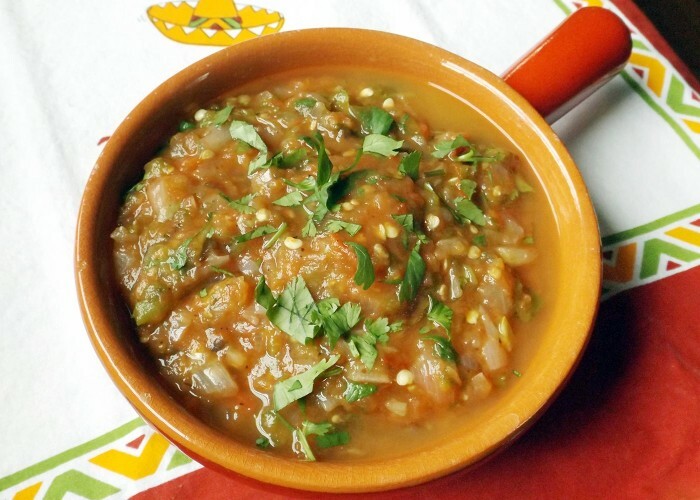 I enjoy this salsa straight out of the bowl with chips, but it makes a delicious topping for your favorite bowl of chili, taco garnish or served warm over huevos rancheros. For a variation, try adding smoky chipotle peppers in adobo instead of the fresh jalapeño. Adjust the top shelf in the oven so it’s 10 inches under the broiler. Preheat broiler to high for 5 minutes. Line a baking sheet with foil paper and spread out the tomatoes, jalapeños and onion, skin side up. Drizzle with a little olive oil and season lightly with salt and pepper. Cook under broiler for 20 minutes. Remove from oven and let cool. 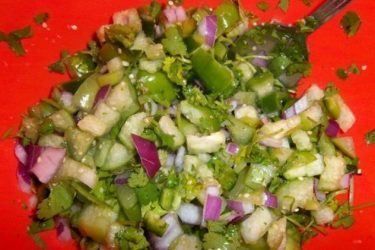 Remove stems from roasted jalapeños and add to blender with tomatoes, onions and all the juice from roasting. Add lime juice and salt to taste. Pulse to blend. 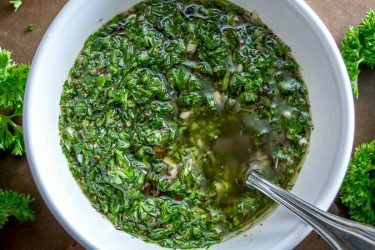 Transfer to serving bowl and mix in 1 full tablespoon chopped cilantro. To extend the shelf life of your favorite salsa recipes, place a piece of plastic wrap directly onto salsa. Cover with airtight lid as well. Keeping the air out is the key.